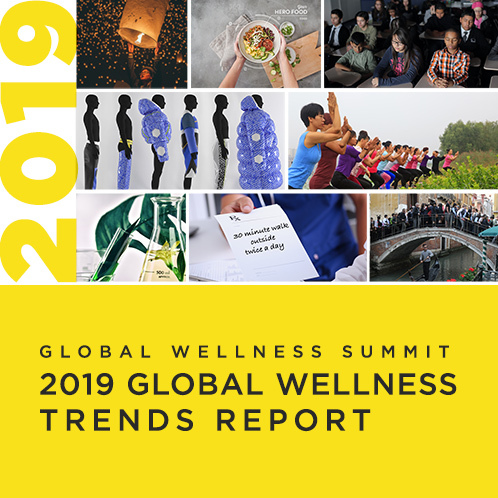 Miami, FL – June 6, 2017 – The Global Wellness Summit (GWS), the foremost gathering of leaders in the $3.7 trillion global wellness economy, today announced that Dan Buettner will keynote at the 2018 conference taking place October 6-8 at Technogym Village in Cesena, Italy. Buettner is an explorer, National Geographic Fellow and best-selling author–and renowned for discovering the world’s “Blue Zones,” rare hotspots where people regularly live and thrive to age 100. He is also the founder of the Blue Zone Projects, wellness communities across the US that design in key Blue Zone lessons learned and have been successful in curbing obesity and smoking, and boosting overall quality of life and activity levels, for over five million Americans–often where other public health initiatives have failed. His four books, The Blue Zones: Lessons for Living Longer from the People Who’ve Lived the Longest, Thrive: Finding Happiness the Blue Zones Way, The Blue Zones of Happiness and his latest, The Blue Zones Solution: Eating and Living Like the World’s Healthiest People, were all runaway bestsellers. 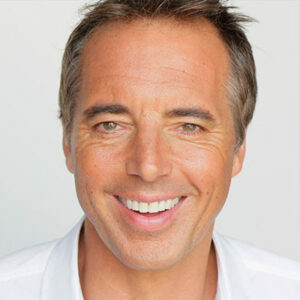 Buettner also regularly appears on programs such as the Today Show, Oprah, NBC Nightly News and Good Morning America. In addition, he has keynoted at some of the most important global conferences, including TEDMED, Bill Clinton’s Health Matters Initiative and Google Zeitgeist. His speech at the 2018 World Economic Forum was chosen as “one of the best of Davos.” He also holds three Guinness World Records in distance cycling. The first Blue Zone research (and the term itself) came from Dr. Giovanni Pes, a physician/demographer who studied the southern Italian island of Sardinia, whose population boasted extraordinarily high life expectancies. (For instance, it has the highest concentration of male centenarians in the world.) Dr. Pes, who will also present at the Summit, hypothesized that he would find a genetic variant supporting longevity there, but instead found that close family/social bonds, daily physical activity and a plant-based diet were key. Buettner expanded the research, identifying four other regions beyond Sardinia where people statistically live the longest: Okinawa, Japan; Nicoya, Costa Rica; Icaria, Greece; and the Seventh-Day Adventist community in Loma Linda, California. His findings appeared in a National Geographic cover story, “The Secrets of a Long Life”, which, like his article in the New York Times, are two of the most popular ever for the publications. Buettner, with a team of medical researchers, anthropologists and demographers, spent eight years studying why Blue Zone populations lived so much longer and happier (at least 12 years more than the 71-year global average). He identified the Power 9®, those shared lifestyle behaviors that keep people thriving to 100: 1) moderate regular physical activity (not exercise, but natural movement) 2) life purpose 3) moderate caloric intake 4) plant-heavy diets 5) stress reduction 6) moderate alcohol 7) social engagement 8) strong family life, and 9) engagement in spirituality/religion. Since 2010, Buettner has applied these nine lessons to new wellness community projects in the US called the Blue Zone Projects. An innovator in the $131 billion wellness community market, these projects (cities, neighborhoods, workplaces and universities) are grounded in the authentic lessons of Blue Zone regions, rather than designed in a boardroom. For each of the nine communities, whether in states like Iowa and Hawaii, or cities like Naples, Florida and the California beach cities of Redondo, Hermosa and Manhattan Beach, the goal is to transform how people live, work, learn and play so that a healthy choice is the easy choice. Blue Zone Project developers work with governments, employers, health insurance companies, schools, grocery stores, restaurants and engineers to help people naturally move more, eat wisely and connect with others. The results have been double-digit drops in obesity and smoking rates, along with impressive increases in activity levels. For example, the California Beach Cities Project saw a 14 percent drop in obesity and a 30 percent decrease in smoking rates across the entire community after just two years.